Spotlight on: Brooke Johnson, Author | Damian Trasler's Secret Blog - Do Not Read! 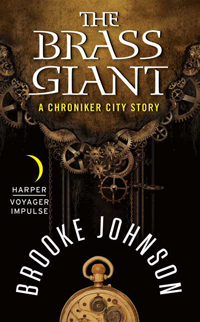 This entry was posted in Book reading, Writing and tagged author, Books, Brooke Johnson, getting published, new novels, novels, publishing, Steampunk, The Brass Giant, writing. Bookmark the permalink.